OLDRIGHTIE: A Deep State Casualty. Welcome Judge Kavanaugh, Good Riddance Warmonger Hayley. 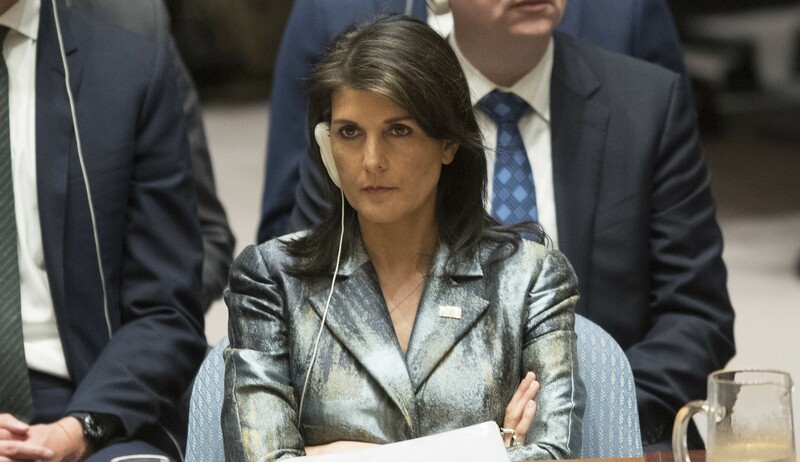 As a fully fledged, unapologetic conspiracy theorist I would not be surprised if this woman was a deep state plant to thwart any democratic efforts by Trump to sort out their mess in the Middle East. Her ridiculous take on Syria's sovereign rights to defend itself a joke and a murderous intent to prevent peace being rescued in Syria. If a decent, experienced and wise diplomat can be found to replace her and act in a manner befitting a serious desire for global harmony and fairness, we could see major advances in Yemen, Syria, Iraq and Libya. Haley's modus operandi, to bully, bomb and destroy millions of lives was getting day by day more horrific. Her sole agenda was constantly to take sides on every issue which might adversely impact on Israel's frequent aggression or disrupt the deep state's arms dealing prowess. That prowess now failing badly as Russia, with some justification, begins to overtake her friends in arms sales across the world. It is almost amusing to watch "sanctions" mooted against India and China for daring to have a once sacred capitalist mantra that competition was a good thing! It was when slush funds and bribes didn't, as they do now, feature as a major proportion of arms sales. Now the deep state foments conflict on a grand scale, the Middle East a testing ground for death by corruption,greed and bullying aggression. Hayley a figurehead for all that is so ugly about the West and its deep state in 2018. We can but hope her replacement is not in her image. As ever, being careful what we wish for is worthy of heed. However, I suspect it to be most unlikely her successor could be as arrogant and as thick as she. Mr. Trump was democratically elected. 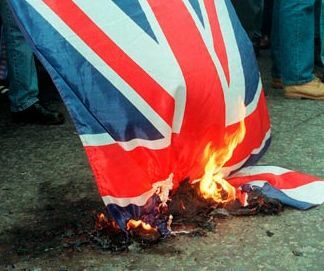 Brexit was democratically voted for BUT when democratic votes do not deliver what the state wants this is what we see. All we have is the appearance of democracy and until the people wake up and elect decent parties to power that is all we will ever have. We are merely subjects in UK and will never be citizens as long as the present establishment is allowed to cling to power and plunder the nation. Some democracy we have when national policy is openly written by unelected Whitehall mandarins like Olly Robbins and the PM meekly obeys.